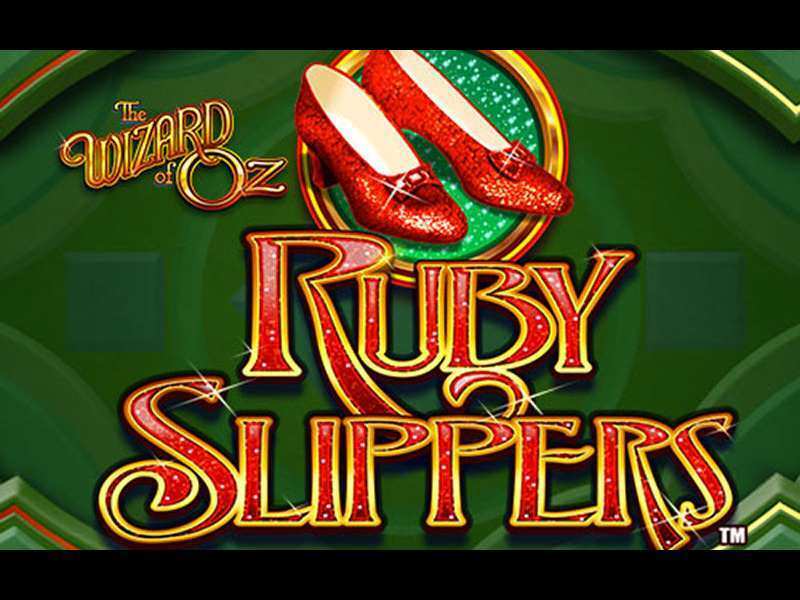 Wizard of Oz Ruby Slippers by WMS gaming is a visual retreat for the gamers, as the game vows to take a ride to the world of fantasy and fairy tale while the players enjoy winning bonuses and jackpots in the game. It can be played in various casinos and requires no download or registration and is widely available to play in mobile devices containing different operating systems, ranging from iOS to Android. Wizard of Oz- Ruby Slippers comes up with 5 reels and 30 winning paylines in the main slot. The paylines are not fixed anyhow and is accompanied by 3 rows as well. The main game screen contains a collection of gaming options, which includes special and other important symbols, jackpots, free spins, repeated spins, few bonus rounds etc. This online slot machine game ensures the bet can be placed from as low as one cent to 2 dollars for a single line. The players irrespective of rounds can always manipulate the amount of bet, and the maximum bet per spin, which is accepted is 60 dollars. The winning formation of the game includes the chain of three or more similar valued symbols. However, these symbols should be present in the active winning line and sorted from left reel and sequencing from each other. The payouts are made only on obtaining major formations on each of the lines. The winning amount is calculated by multiplying the bet along with stake per line and by the combination index, which is up to 12000X times of the base wage. The above win cannot be gambled and the payout is automatically transferred to the players account. The game contains various mystical themed symbols ranging from Dorothy to a Capricorn, a Scarecrow and a Cowardly Lion. These characters have a close resemblance to the fairy tale themed game. Other symbols in the game include a basket, an apple, a lollipop, sandy watches and others. Special Symbols of the game includes Wilds, which is denoted by a logo of Wizard of Oz- Ruby Slippers. The jackpot symbol is denoted by the Jackpot Capture icon and Respin is denoted by a wizard symbol. The Wilds have the highest power and can form winning combinations and helps in replacing other lower valued symbols and let the player earn a win in the process. Jackpot symbol in the game ensures to draw the fixed jackpot when triggered. Respin feature at last, is used in generating repeated free spins. When three of this symbol gets triggered, the reels are spun. On hitting 4 of this symbol, the bet wage is multiplied for 5 times, while on hitting 5 symbols the total stake is multiplied 10 times. Lastly, the bonus symbol also activates bonus rounds in various combinations. Bonus Games in Wizard of Oz- Ruby Slippers online slot are of various types. These games ensure to give out wagers to the players, who intend to play the game for real money instead of free. As like for any monetary dealings, the rewards are particularly very convincing. Jackpots are the game is of a fixed reward. The maximum of 12000X can be won at maximum as per one bet per line. To earn those, the players need to make a combo of 5 jackpot symbols at the active line. The player’s should keep in mind that these symbols only appear in the main game. Wizard of Oz Ruby Slippers is an online slot machine game developed by WMS gaming, takes the players to a visual ride across the mystical and fantasy world of the popular story of Wizard of Oz. The game contains various bonus rounds and a collection of free spins, which ensures the game to score a positive point over some other games of the same theme. The game is available to play for real money in various online casinos across the planet and is available in various popular countries such as UK and USA. Play free Wizard of Oz Ruby Slippers casino slot machine games in popular casinos and in most of the cases, no monetary rewards can be won. 0 responses to "The Wizard Of Oz Ruby Slippers Slot"